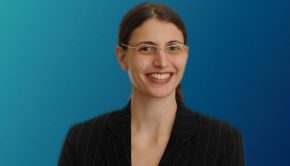 Hofstra Law has launched the Hofstra Center for Intellectual Property Law (CIPL), with Professor Irina Manta as its director. To celebrate the new center, on March 4, 2015, the Law School hosted a kickoff reception and the Inaugural Annual Intellectual Property Lecture, given by internationally renowned scholar Professor Robert Merges (UC Berkeley School of Law). CIPL will house Hofstra Law’s existing numerous intellectual property opportunities and serve as a forum for research into and discussion of the many fascinating issues in this field. 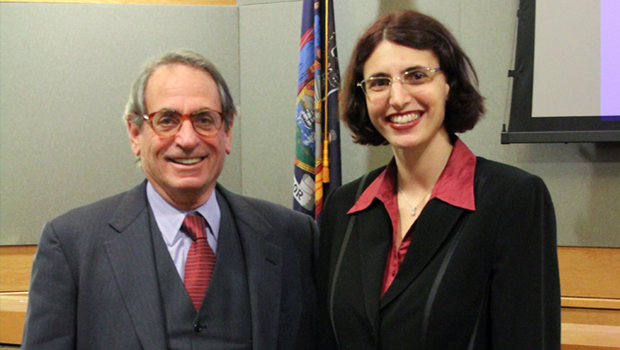 In 2014, Hofstra Law graduated the first students in the new IP Law Honors Concentration (PDF). This past fall, Professor Manta’s third IP Colloquium hosted seven well-known scholars from all over the country to talk about their work on the constitutional, law and economics, administrative, and public health dimensions of intellectual property. Hofstra Law has also been running a number of exciting programs in collaboration with Hofstra Law alumni, including the one-on-one IP Mentorship Program and the Annual IP Alumni Reception. To create scholarship and other writings on the complex issues in intellectual property law and related issues that confront our world today, be they in the creative industries or the technology sector. To connect faculty, students and alumni in the quest to understand and explore developments in the IP field. To promote professional development in the Hofstra Law community and the legal world at large. Professors Akilah Folami and Leon Friedman join Professor Manta as CIPL’s faculty members. Together with popular adjunct professors drawn from New York’s and Long Island’s best IP practitioners, they provide Hofstra Law students with a rich curriculum across copyright, trademarks, patents, entertainment law, cyberlaw, biotechnology, and many other areas. CIPL currently employs two special assistants, Stephen Breidenbach 2L and Ashley Flynn 1L, who help to promote its activities. This fall, CIPL plans to draw from the incoming 1L class the first group of IP Law Honors Fellows, who will be students that have demonstrated an interest in IP and a high level of achievement. The fellows will be actively involved in the life of CIPL and will receive tailored mentoring to meet their career goals. CIPL will host a panel discussion on eminent domain on April 21 at noon at Hofstra Law. The panel will feature Professor Manta, Clarisa Long (Columbia Law School), Gregory Dolin (University of Baltimore School of Law) and Ilya Somin (George Mason University School of Law). Explore the CIPL website for additional information on news and upcoming events.